By Brian Rashid. Discovered by Player FM and our community — copyright is owned by the publisher, not Player FM, and audio streamed directly from their servers. This episode is really special to me. One year ago, I made one of the best business (and personal) decisions of my life....documenting my journey, and producing content at scale for all of you, for free. 100 episodes later, I am proud of what we've created. Of the value we've added. Of the lives and businesses, we've made better. THANK YOU to every single one of you that has watched 1 second of the last 100 episodes. And a huge thank you to Juan Pablo (@IG, Nik, and Mao) for bringing so much attention, love, positivity, and care to this project as behind the camera magic makers. You mean the world to me. All of you! 255 episodes available. A new episode about every 10 days averaging 17 mins duration . Brian turned 36 years old. This video highlights his most impactful 14 moments in the last year. Please enjoy seeing what we have been up to.--Brian cumplió 36 años. Este video tiene los mejores y más impactantes 14 momentos del año. Por favor disfruten viendo lo que hemos preparado. How do you find work-life balance? I don't. I have built a LIFE around the business. I think that's key.--¿Cómo encontrar el balance entre trabajo y vida personal? Nose. Yo he creado una vida alrededor de mi negocio. If you need to know how to make money doing what you love, watch this video.--Si quieres saber cómo ganar dinero haciendo lo que ama, mira este video. ¿Quieres saber si es correcto publicar contenido personal en tus redes sociales? Descúbrelo en este video. --Do you want to know if it is correct to post personal content on your social media? Find out here! Are you working for a non-profit organization? This video is for you!--¿Estás trabajando para una organización sin fines de lucro? Este video es para ti. Are you looking for a mentor? check this out.--¿Estas en búsqueda de un mentor? Esto te puede servir. So much needless suffering right now. I wrote this for the one, two, or 200 of you that are putting too much pressure on that ONE thing. If you are trying to find it, or improve it, or perfect it, this is for you. I want to be free. I want to be creative. I want to build businesses I love. Here is how I try to do it. Brian delivers the start of the semester keynote at one of his favorite places on Earth. Hostos Community College, Jason Libfeld, and his students inspire Brian to the max. We talk Dominican cakes, fashion brands, and all around entrepreneurship in this FIRE podcast. Enjoy. If you organize events or want to streamline the efficiency of your conference flow, this is for you. Whether you are a conference organizer, attendee, or speaker, give this a listen. Brian was simply blown away by the positive feedback from a video we shot for Peorians from New York City last week. So many beautiful comments, questions, and warm wishes. Happy Holidays! Brian LOVES jamming with the amazing leaders at Tech Hub in Ciudad Juarez. He sits with Alba and they go deep into doing what you love, branding, and how to tell stories that sell. This was a fun 9 minutes, so check it out! Pase delicioso en esta entrevista con TV Azteca antes de dar mi charla en la conferencia RESET en Ciudad Juárez. Hablamos sobre marca, historias y como generar ingresos haciendo lo que te gusta en un mundo moderno y digital. Excelente entrevista. Tengo un inmenso respeto por esta brillante emprendedora, conferencista internacional, y un ser humano increíblemente potente. Tatiana Arias visita nuestra sede de NYC y hablamos finanzas, mentalidad y emprendimiento global. Muchas joyas las que compartimos acá, échenle un vistazo. What a great time Brian has delivering the Intern Group New York a talk on public speaking. This is a deep dive into how to prepare and deliver a speech, as well as some thought-provoking Q/A. Brian loves jamming with these superstars from around the world! 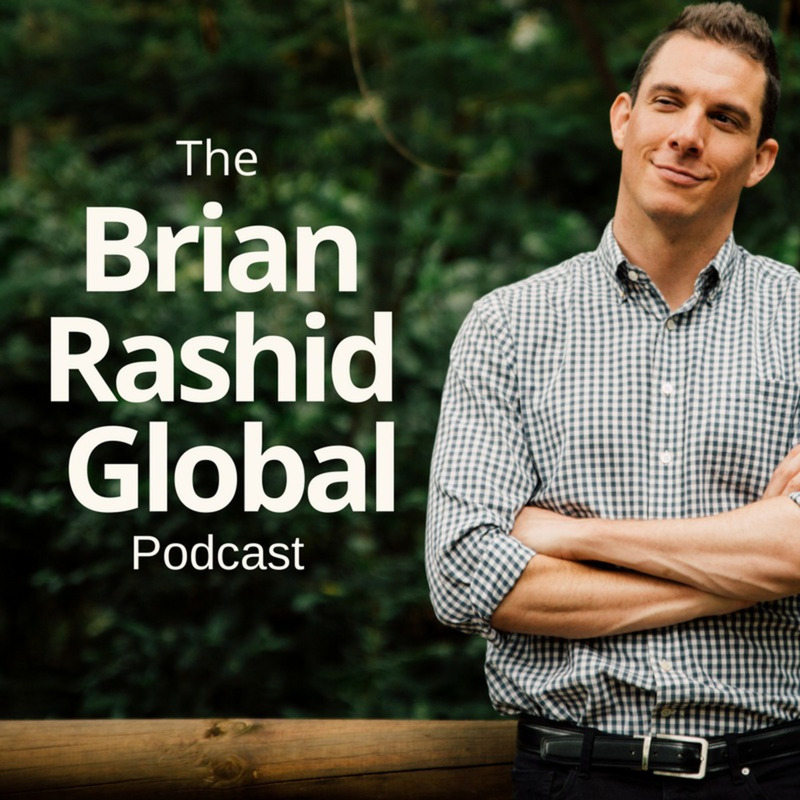 Start listening to The Brian Rashid Global Podcast on your phone right now with Player FM's free mobile app, the best podcasting experience on both iPhone and Android. Your subcriptions will sync with your account on this website too. Podcast smart and easy with the app that refuses to compromise.